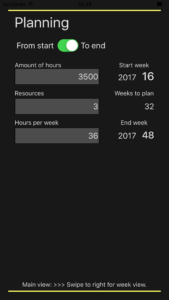 Week Number is an App for iPhone and an ideal tool for planners and projectmanagers. 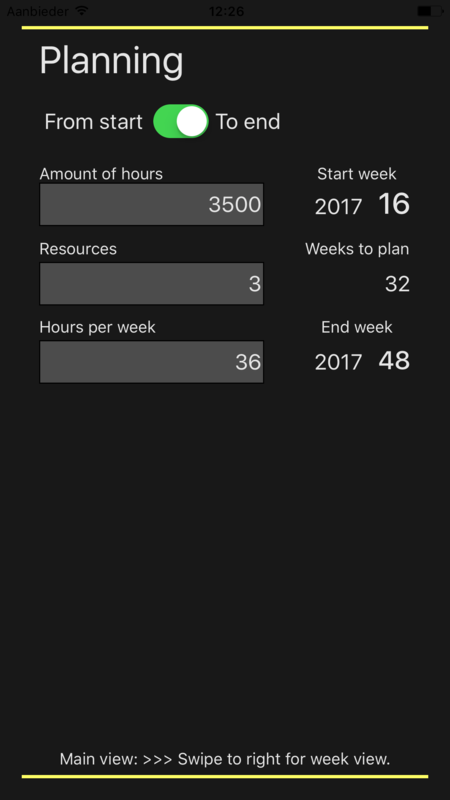 Easy to use app that shows you the current week number in the app, but also it show the week number in the icon itself. This version has manual icon change. Start Week Number app and press the yellow ‘change icon’ button, it show a popup with the new icon and click ok ‘Ok’. 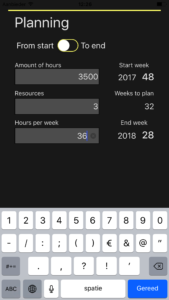 After that the app icon will show current week number. Week Number can also calculate the week number for a certain date. 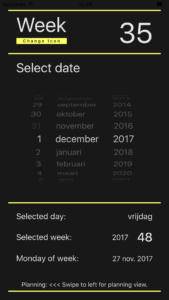 Select a date with the date picker and it automatically shows you the week number belonging to that date. 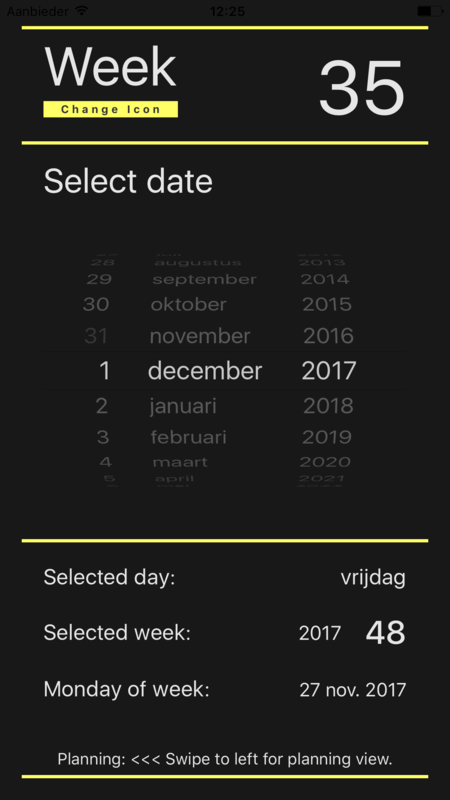 By swiping to the left the app will show the planning view. here you can enter the amount of ours, the amount of persons (resources) that will work on the project and the hour per week these persons can work on the project. – End on the week you have previously selected, the it will calculate the start week. By swiping to the right one can return to the screen of week selection.